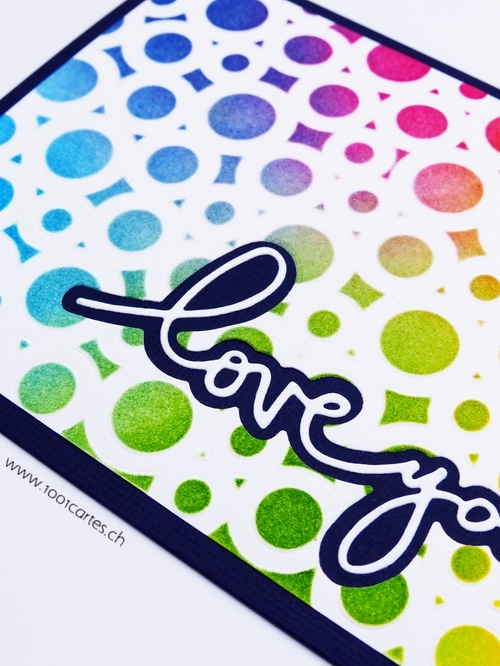 Online card class Stenciled Day 4! 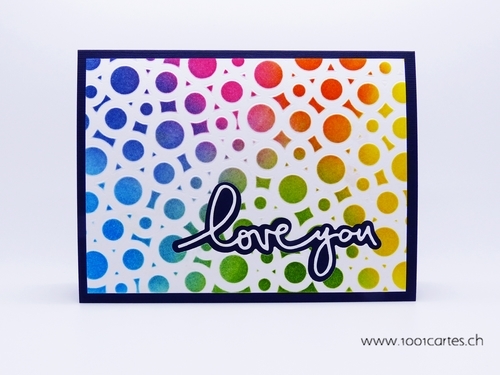 I dry embossed using Mister Huey’s Bubbles mask. I ran the stencil through my Cuttlebug. Then I adjusted the stencil into the negative impressions on the embossed panel to protect the areas around the design and inked with different Distress inks using the Ink Blending Tool. 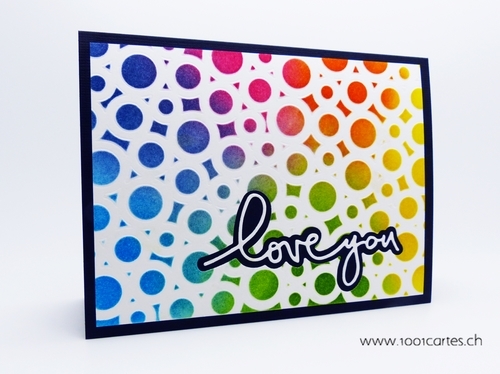 The "Love you" sentiment is a die from Ali Edwards (Technique Tuesday). 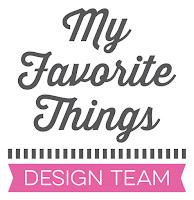 Your card is beautiful, bright, and cheery...fantastic job! Beautiful! Such a bright vibrant card. Gorgeous card Francine. It's been long...how are things at your end?